Every device has a unique hardware address to identify it uniquely from other devices in a network. It is called MAC address of device. MAC means Media access control. 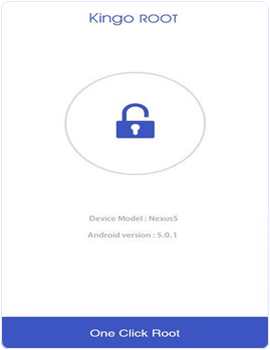 In Android smart phones, MAC address is used by various Android apps to restrict the dual account of an app or registering mobile devices uniquely in access log. Sometimes our MAC address is restricted by a network administrator to access it’s network services. But, we can bypass it if and only if we have a new MAC address. In this article we are going to explain about “How to change MAC address on Android“. With the help of this trick we can easily bypass the MAC level securities and filters. So, without wasting your precious time, let’s proceed to amazing trick. How To Change MAC Address On Android Device. 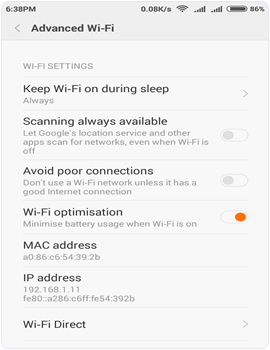 How To Check Your Mac Address On Android. Part 2:- Install Busy Box. Part 3:- Install WifiMac Changer. 3. WiFi Mac changer App. To check your MAC address follow the Steps below. Open the Setting app of your phone. Then tap on the About phone option. 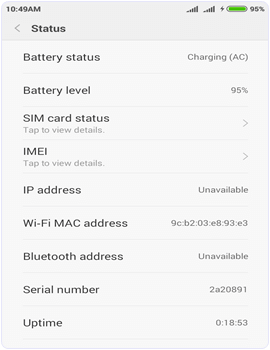 Here you will find all the information about the phone regarding IMEI, MAC address, Android version etc. Root access provides permissions to edit the files in the root storage of device memory where the firmware is installed. We can do many amazing experiments with root access. Rooting an Android phone in so simple but Android users are always afraid of rooting because it void our phone warranty and can also brick our phone. It may even compromise on security. But in this article we are going to discuss simple way of rooting without connecting to PC. 1. First of all download and Install kingoroot app. 2. Now connect with WiFi or enable your cellular data. For fast rooting WiFi is recommended. 3. Launch the app and tap on one click root option. 4. It takes 2 to 5 minute for rooting depending on your WiFi speed. 5. 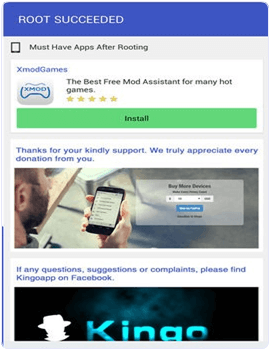 Now, you will see root succeeded message and it will Install kingo superuser app to your phone to manage your root permissions. 1. Download and Install busybox from the link below. 2. After installation open the app and and it will take few minutes to gather your phone information. 1. After that Install the WiFi Mac changer App. 2. Launch the app and it will show the real Mac address of the device. 3. 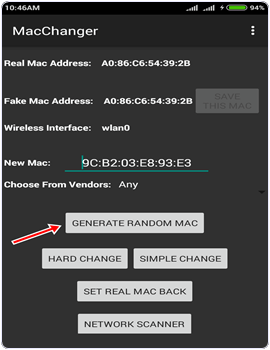 Now click on the generate random Mac address button to get a new MAC address or you can also type Mac address yourself. 4. After that click on the hard change button. Our phone goes to airplane mode and our Mac address is changed. 5. Click on the set real Mac back button to get your Mac address back. 6. If it fails to change the Mac address then open the busy box. 7. Wait until busybox gather your device information. Then minimize the busybox and follow the above steps in WiFi Mac changer App to change the MAC address. In conclusion, make sure you know what you are doing with your device while trying to change MAC Address on android as it may brick your phone and void your warranty. For any help or assistance, please use the comment section below.